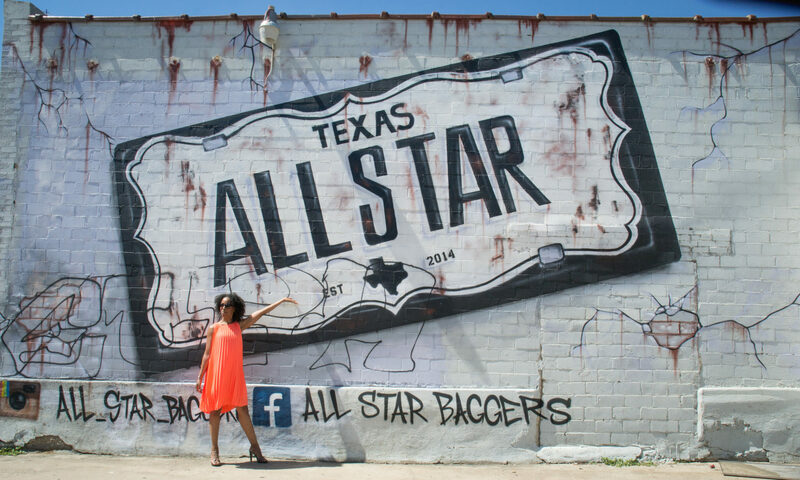 Veleisa: Dallas has so many fitness options, from big box to boutique; what makes GRIT unique? Brit: GRIT, for me, is serving clients like me: women in their 20s and 30s, professionals, who want more than just a great workout. I knew I wanted to deliver three things. The classes had to have variety. I didn’t want to have the same standard classes that they could get anywhere. There also had to be a familial and social environment. I wanted student and teacher and student to student bonds to be created in the studio. And finally, I wanted it to be an energetic experience. Every decision, from the music to the decorations to the community events, which we have at least 50 scheduled per year, are tied to these three concepts. V: Wow, 50 events per year, that is dedication. Okay, once you decided that you were going to open the East Dallas GRIT Fitness location, what were your first three moves? Brit: I had to ask myself “What do I want?” I could easily articulate what I didn’t want. I had to create a vision and write it down. It took years for me. At first, I created a DVD, I was a fitness instructor, I taught classes at the W Dallas hotel. All the time, I was blogging on the side. I had to figure out how to turn this into a business. I knew I loved to teach. I’m a nerd at heart, I love to solve problems. I had to teach and figure out the business (accounting and HR) and make money. I had to ask myself “What do I want?” I could easily articulate what I didn’t want. I had to create a vision and write it down. The first thing I did was save. I saved $30,000 for living and investment once I made the transition. I sacrificed for this. I didn’t take any trips and I paid off my loans and car as part of the transition. I would say that every entrepreneur needs a financial plan. I personally didn’t want to just quit work. I built my brand slow and steady. Most importantly, I build the business aspect before I started the brick and mortar. This is a lesson I picked up from Rich Dad, Poor Dad: start a business before you launch. I did that by selling t-shirts and my DVD online, the community classes. I learned how to sell, collect money, market myself, build a subscriber list and keep a current newsletter going to inform my community. I was transparent about my journey and I created interest by opening myself up. This helped create the momentum that launched GRIT Fitness. V: Tell me your top takeaways from the first year in business. Brit: Wow, that’s a good one. Number one: Team is everything. Your team has to be made of people who love the brand and serving others. Looks and instruction isn’t everything. You want people who create a community, who have the energy for the journey. Secondly, be flexible. Some things are black and white and some things can change. I was very black and white at the beginning, and I’m learning to let go a bit. Finally, know that you can’t do everything yourself. You have to let others shine. A business will never reach its full potential if you, as the owner, don’t allow others to shine. Be a leader in some aspects and know when to let others come up. Let them be Beyoncé in some areas. Recognize their own flavor and use that to create a dream team. That was humbling for me. A business will never reach its full potential if you, as the owner, don’t allow others to shine… Let them be Beyoncé in some areas. V: How important is it to you to create leaders? Brit: That’s the reason why I put together the networking event (“Working It” Sweatworking event, in conjunction with Ellevate Dallas). I want to do more sharing and inspiring this year, so I’m working to create community experiences, potentially some workshops as well. I’m actually spending less time this year on teaching classes and more time on growing, hiring and empowering the team around me. V: What are three adjectives you want members to use to describe the GRIT Fitness experience? Brit: Authentic – not corporate of show-like. I want them to see that the instructors are genuine and normal people like them. Some of them have full or part-time jobs as well. Energetic – energy is a key value. GRIT Fitness isn’t calm, chill or relaxing. We have the most crunk music and burpees. And finally, friendly. I set clear expectations among the team that they have to know people by name. Like, we have flash cards. This is not just a transactional relationship, customer and clients in a business. We at GRIT are family to our members. If you’re not ready to go out and make your fitness (or other) dreams happen after reading that, I suggest reading it again. This interview gave me three pages of notes, with sub-notes of the points that specifically spoke to me. Your chance to meet Brit and team in person and see the new Design District space is coming up on Sunday, June 5 from 1 to 4 p.m. The launch party will include cocktails by Deep Eddy Vodka and Sociologie Wine, light bites, and workout gear offerings to shop by top fitness, fashion and health brands such as Luke’s Locker and Socialite Pink Jewelry. General Admission is free and open to the public. VIP tickets are $25 and include priority entry and a special GRIT swag bag and gift courtesy of Nike. 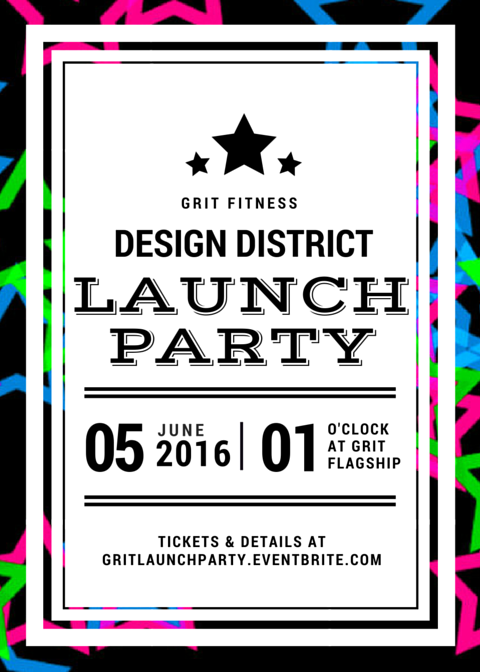 For tickets and more information, please visit GRITlaunchparty.eventbrite.com. The GRIT Fitness flagship is located at 1729 Irving Boulevard Suite 101. Can’t make the launch party? Come to the Preview Week to try a variety of classes and meet the GRIT instructors. Classes will be filled on a first-come first-served basis and will run from Monday, June 6 to Saturday, June 11. Great interview. She’s really inspiring! She was one of the first fitness bloggers I followed when I first started! She’s definitely keeping me thinking about brand, presentation and energy. Thank you for reading. Loved this and her! Amazing interview and great read! Love it! I love that she built up such an amazing team her first year. She’s so smart and inspiring! She’s found her tribe for sure!